Hey everyone! I always want to make my nails cute when I go out but I’m not very skilled when it comes to drawing cute little designs onto my nails. Here is a fun and cute thing you can try without having any sort of drawing talents at all! Grab your favourite red and white nail polish. Paint each nail in an alternating pattern. Let it dry! 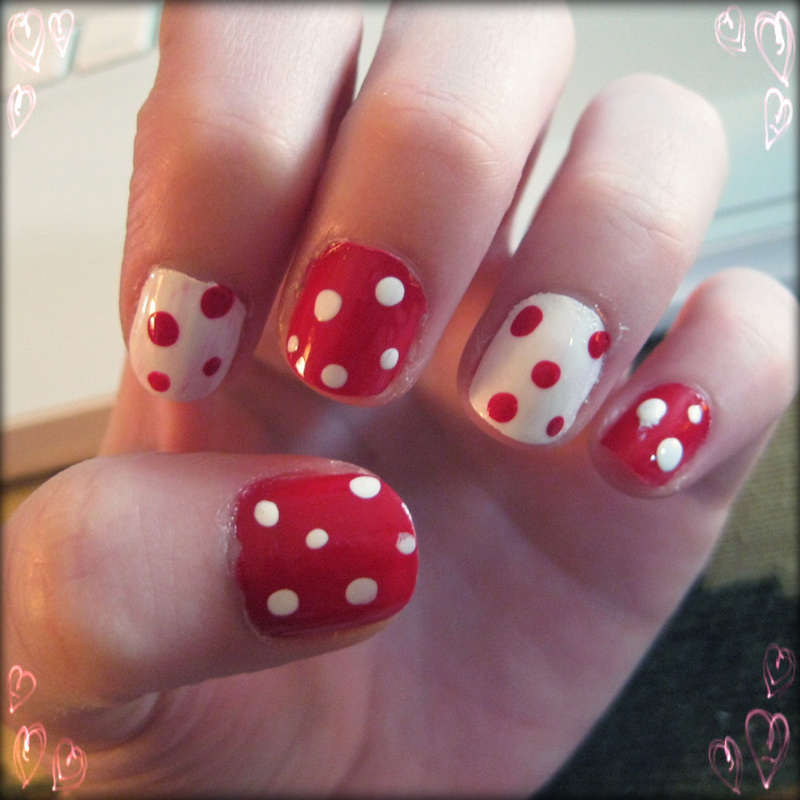 It is really important that your nails are totally dry before moving onto the dots. To get the look of the dots, simply grab a toothpick and cut the pointed end off. Dip the flat end of the toothpick in the opposite colour of your nail and dab onto your finger! So easy! Let dry and cover with your favourite top coat.